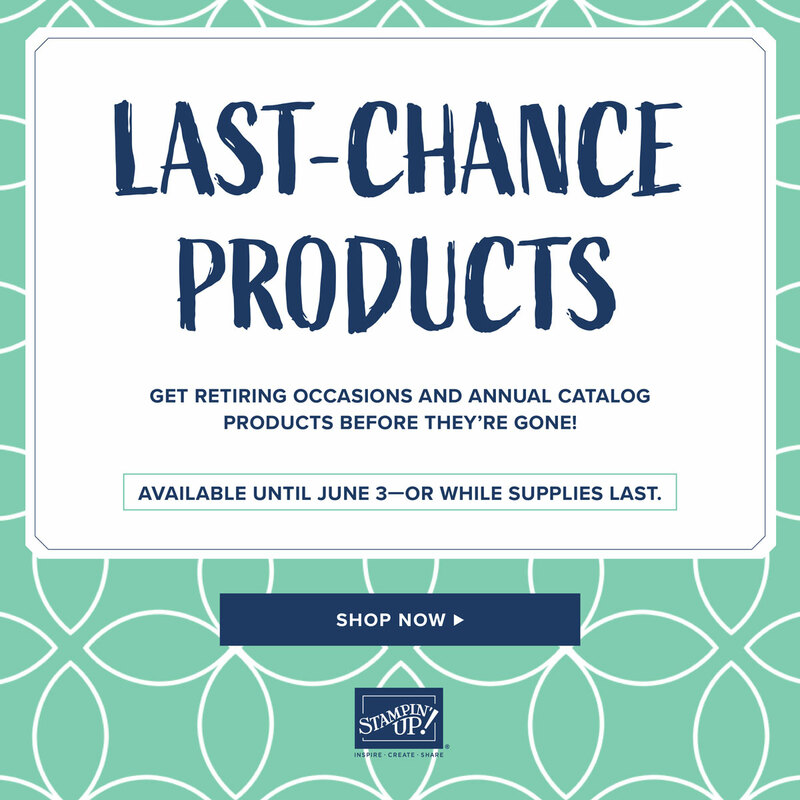 Here's another sneak peek at some goodies in the Summer Mini for sale on May 1st. 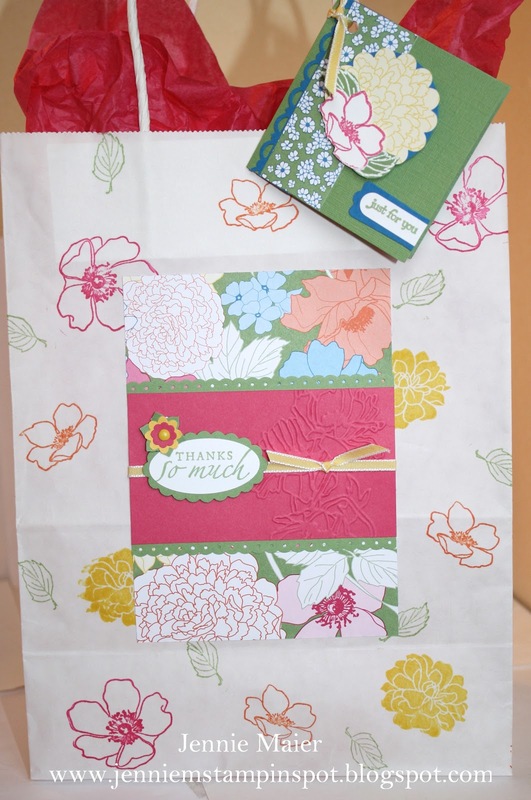 I used the Beyond the Garden DSP and coordinating Fabulous Florets stamp set. 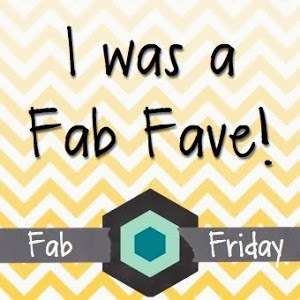 I started by stamping a white gift bag with the Fabulous Florets stamp set and Daffodil Delight, Melon Mambo, Tangerine Tango and Wild Wasabi Classic ink pads. I embossed the Melon Mambo card stock with the Flower Garden textured impressions embossing folder. I added strips of Wild Wasabi that I ran thru the Dotted Scallop Ribbon Border punch. The paper is from Beyond the Garden DSP. I stamped thanks so much from Sincere Salutations on Whisper White. I punched that out with the 1 3/4 inch by 7/8 inch Large Oval punch, layering it onto a Wild Wasabi piece punched with the XL Scallop Oval punch. The flowers were punched from Daffodil Delight, Melon Mambo and Wild Wasabi using the Boho Blossoms punch and Itty Bitty Shapes punches pack. A Daffodil Delight brad is in the center. The flowers and ovals are popped up with Stampin dimensionals. Finally, some 1/8 inch Daffodil Delight taffeta finishes off the panel. For the card I started with some Wild Wasabi textured card stock. I ran a strip of Pacific Point thru the Scallop Trim Border punch. The papers are again from Beyond the Garden DSP. I punched a XL 1 3/4 inch Scallop Circle punch with some more DSP and layered it onto a Pacific Point circle punched with the XL 1 3/4 inch Circle punch. I stamped the leaves with White Craft ink on Wild Wasabi, added White embossing powder, heated them up then cut them out. I stamped the Melon Mambo flower with Versamark, added some Melon Mambo Emboss powder, heated it up and cut them out. Just for you from Teeny Tiny Wishes was stamped in Wild Wasabi, punched out with the Word Window punch and layered onto a Pacific Point piece punched with the Modern Label punch. Finally, I used more 1/8 inch Daffodil Delight taffeta to tie the card to the handle. I found this card on my desk and realized I'd never posted it. I actually made 5 of them, one in each color of the banner. The base is Real Red card stock. I ran some Crumb Cake thru the Big Shot with the Perfect Polka-dot textured impressions embossing folder. I added some DSP from the Patterns DSP Brights Stack. 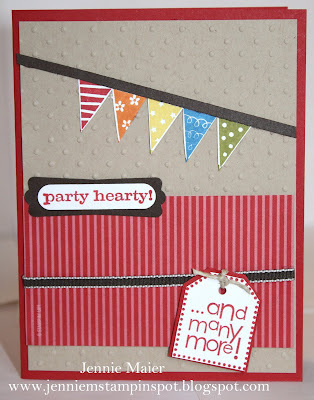 I stamped "party hearty" and "and many more' in Real Red and punched them out with the Word Window and Large Tag punches. I punched out some Early Espresso with the Modern Label punch and some Real Red with the XL Tag punch. I used the Handheld punch for the hole in the tags and threaded it with Natural Hemp Twine. I colored in the hats stamp with Real Red, Pumpkin Pie, Daffodil Delight, Pacific Point and Old Olive Stampin' Write markers, trimmed them down and adhered them to a small sliver of Early Espresso to create the banner. Finally, some 1/8 inch Early Espresso finishes it off. Here's a simple sympathy card I made a while ago but just forgot to post. I used my Color Coach for the color combo of Pear Pizzazz, Blushing Bride and Early Espresso. I started with a base of Pear Pizzazz card stock. I added some Blushing Bride DSP from the DSP Pack In-Color, matting it with Blushing Bride card stock. I ran a piece of Early Espresso thru the Dotted Scallop Ribbon Border punch. I colored the stamp from Thanks for Caring with my Blushing Bride, Pear Pizzazz and Early Espresso Stampin' Write markers. I punched that out with the XL 2 3/8 inch Scallop Circle punch. That was layered onto an Early Espresso piece punched with the XL 2 1/2 inch Circle punch. Finally, some 1/8 inch Early Espresso taffeta ribbon finishes it off. I made this card for the Create with Connie and Mary Challenge#147 here. The Springtime Vintage DSP is going away soon so I thought I'd use some up. The base is Rose Red card stock and I added some Springtime Vintage DSP. I punched out Rose Red card stock with the XL Scallop Square punch. I punched out the DSP with the Large 1 1/4 inch Square punch. 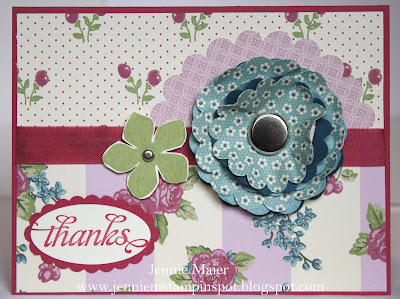 I cut out the flower with leaves directly from a piece of the Springtime Vintage DSP and popped it up with Stampin' dimensionals. I stamped the greeting from Fabulous Florets in Rose Red. Finally, some 1/2 inch Pear Pizzazz seam binding finishes it off. 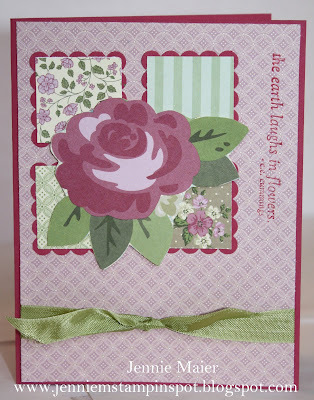 This card uses some Beyond the Garden DSP and the stamp set, Flower Fest, that will be available May 1st. 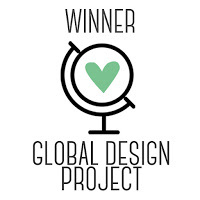 It was also inspired by two challenges. 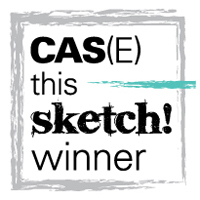 First, the PPA#90 sketch here. And second, the SUO Challenge, to make Mother's Day cards, here. The base is Melon Mambo card stock and I added some Beyond the Garden DSP, matting it with Wild Wasabi. I also used some Patterns DSP Brights Stack. I punched out the Wasabi circle with the XL 2 1/2 inch Circle punch. The Melon Mambo piece was punched with the XL 2 3/8 inch Scallop Circle punch. 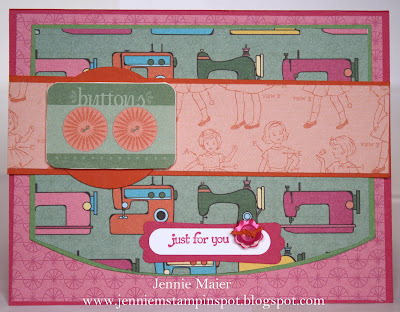 The Pretty in Pink circle was cut out with the Circles#2 Big Shot die. And the Melon Mambo circle punched with the Large 1 3/8 inch Circle punch. I stamped the flower from Flower Fest twice with Versamark, using both Melon Mambo and Wild Wasabi Stampin' emboss powders and heating them up. I colored in the flower with blender pens and Melon Mambo, Pretty in Pink and Wild Wasabi Classic Ink Pads. I then punched that out with the Large 1 1/4 inch Circle punch. The entire set of circles was popped up with Stampin' dimensionals. 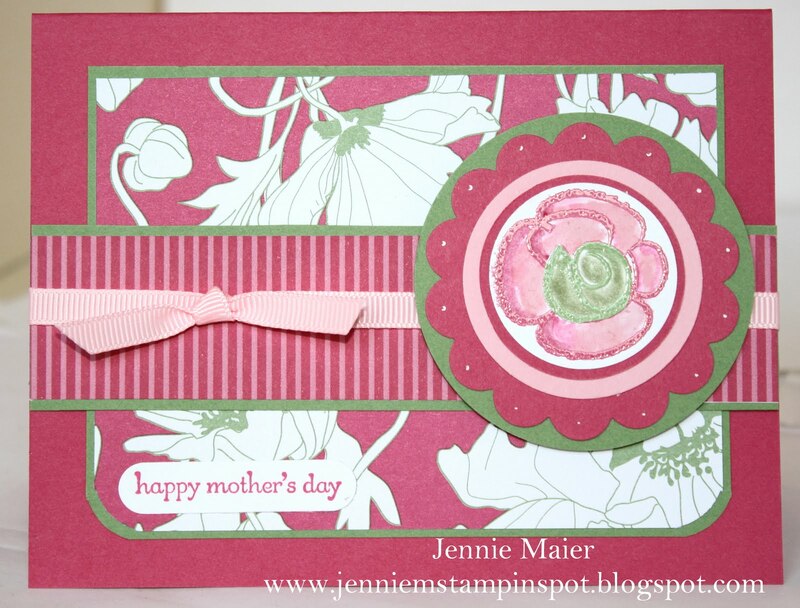 I stamped Happy Mother's Day from Teeny Tiny Wishes in Melon Mambo and punched it out with the Word Window punch. Finally, some 1/4 inch Pretty in Pink ribbon finishes it off. I made this card for the Splitcoast Sketch Challenge#329 here. 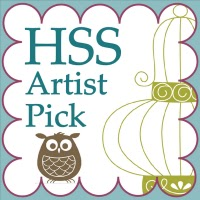 I used the Sweet Stitches DSP from the Occasions Mini, only available until April 30th. I started with a base of Regal Rose. I added three different papers from the Sweet Stitches DSP. I stamped hello from Hello Again in Regal Rose on Whisper White and punched it out with the XL Curly Label Punch. I added a piece of Regal Rose punched with the same punch. I stamped the flower from Hello Again twice, once in Regal Rose and once in Daffodil Delight. I punched out the Daffodil center with the Itty Bitty Shapes Punches pack and popped it up with Stampin' dimensionals. I then punched it out the Whisper White piece with the 1 inch Circle punch. A piece of Daffodil was punched with the 1 1/4 inch Circle punch and a piece of Regal Rose was punched with the 1 3/4 inch XL Circle punch. All the circles were popped up with Stampin' dimensionals. Finally, some 5/8 inch Daffodil Delight satin ribbon finishes it off. This card was made using the Stampin' Celebration Inspiration Challenge#48 here. I started with Pretty in Pink card stock then added some Perfect Plum and Certainly Celery card stock. I also added some Pretty in Pink Patterns DSP Subtles Stack. I cut out two Top Note dies, one in Whisper White and one in Pretty in Pink. I stamped the stem from Bold Blossoms in Certainly Celery. I used the new Blossom Bouquet Triple Layer punch(available May 1st) to create the Perfect Plum and Pretty in Pink flowers. 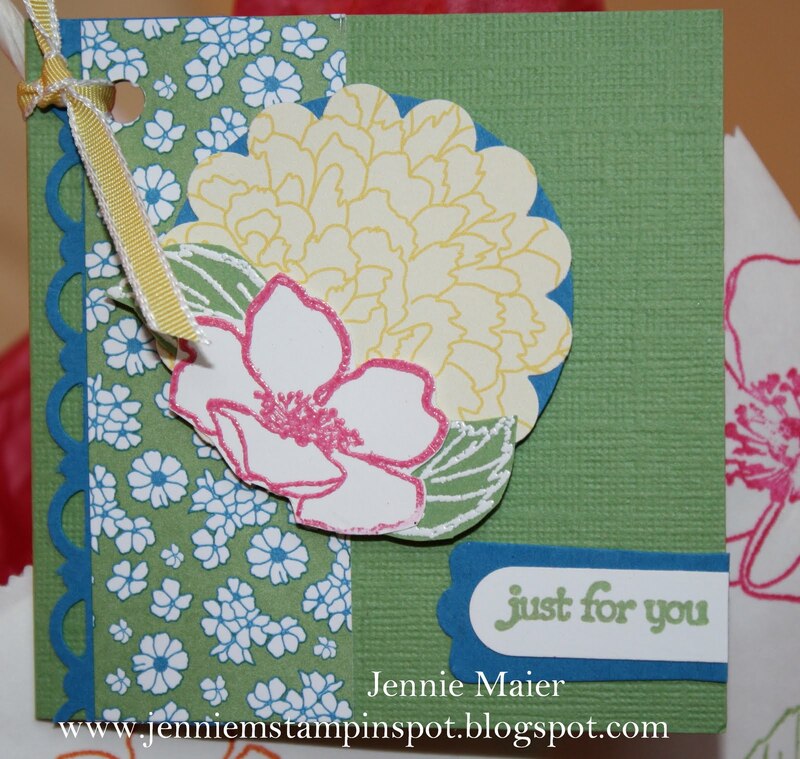 I added a Pretty in Pink and Certainly Celery brad to the centers and popped them up with Stampin' dimensionals. 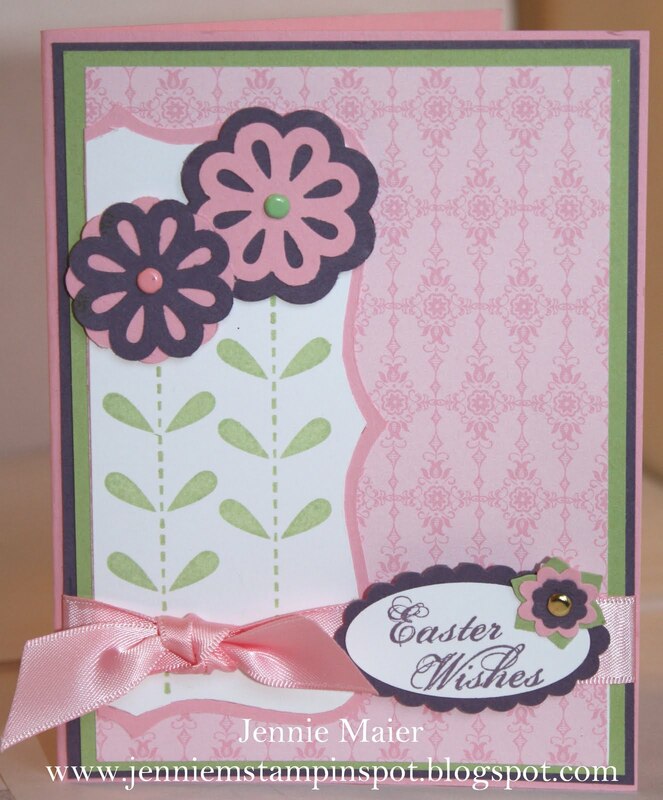 I stamped Easter Wishes from All Holidays in Perfect Plum and punched it out with the 1 3/4 inch by 7/8 inch Large Oval punch. I added a Perfect Plum piece punched with the XL Scallop Oval Punch. I also punched out a Celery and Pink flower with the XL Boho Blossoms punch and a Plum flower with the Itty Bitty Shapes Punches pack, adding a gold brad to the center. Finally, some 5/8 inch Pretty in Pink Satin ribbon finishes it off. 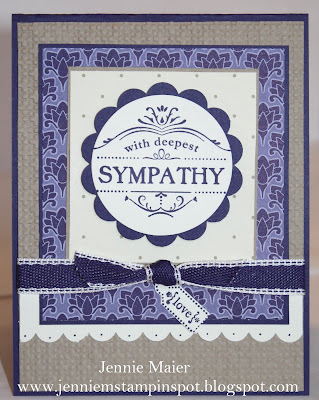 This sympathy card was made using the MojoMonday Sketch#187 here, and the Splitcoast Color Combination#319 here. The colors to use are Crumb Cake, Concord Crush and Ivory. The base is Concord Crush card stock. I ran a piece of Crumb Cake thru the Big Shot with the Square Lattice textured impressions embossing folder. I added some Concord DSP from the DSP Pack In-Color and some Vanilla and Crumb Cake DSP from Elegant Soiree DSP. I stamped the sentiment from Thanks for Caring in Concord Crush and cut out the circle with the Circles#2 Big Shot die. I added a Concord piece punched with the XL 2 3/8 inch Scallop Circle punch. 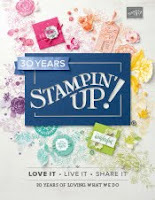 I popped that up with Stampin' dimensionals. I ran a piece of Very Vanilla thru the Scallop Edge Border punch and added some dots with the Concord Crush Stampin' Write Marker. I stamped the tag and love from Tiny Tags in Concord Crush on Very Vanilla and used the Medium Jewelry Tag punch to punch that out. Finally, some 1/2 inch Concord Crush stitched-poly ribbon finishes it off. 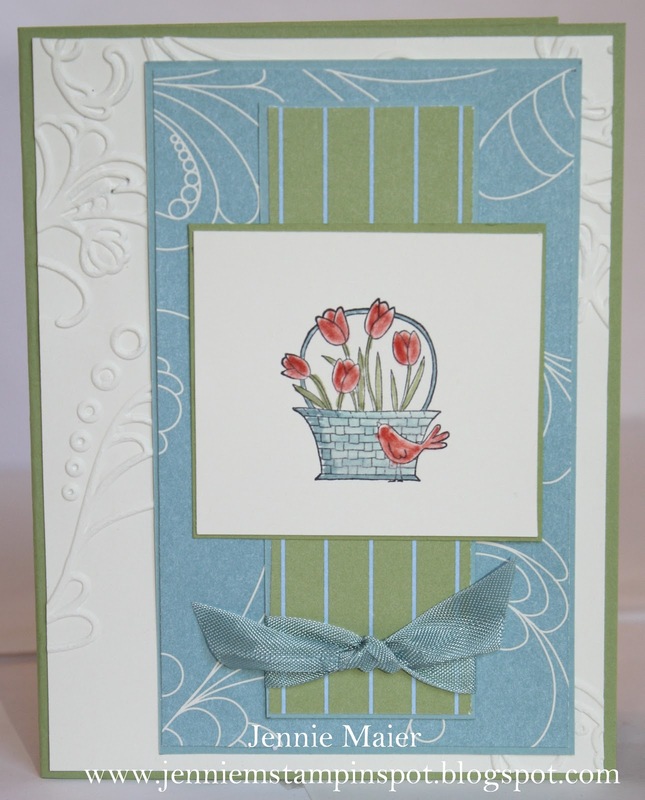 This card uses another set from the Summer Mini Catalog, Flower Fest. I also made this using the Stamping 411 Sketch#199 here. The base is Melon Mambo card stock and I added some Sweet Stitches DSP. I stamped the flower and leaves from Flower Fest in Versamark ink then poured on some Melon Mambo and Wild Wasabi Stampin' Emboss Powders( also available in the Summer Mini) and heated them up with the Heat gun. I then colored them in with Melon Mambo and Wild Wasabi Classic Stamp pads and blender pens. I cut them out and popped them up with Stampin' dimesionals. I added a Tempting Turquoise Bright brad to the center of the flower. I stamped thanks so much from Trendy Trees in Melon Mambo. Finally, some 3/8 inch Marina Mist Taffeta ribbon finishes it off. My pre-order from the Summer Mini Catalog arrived so I used the stamp set Fabulous Florets on this card. The Summer Mini comes out May 1st. It also was made for two challenges and a sketch. First, the Clean and Simple Stamping FTL#136 here. Second, PPA#89, Flowers, here. And finally, the Create with Connie and Mary Color Challenge#146 here, using Real Red, Pumpkin Pie and Pacific Point. My base is Pacific Point card stock. I added some Pumpkin Pie DSP from the Patterns DSP Brights Stack. 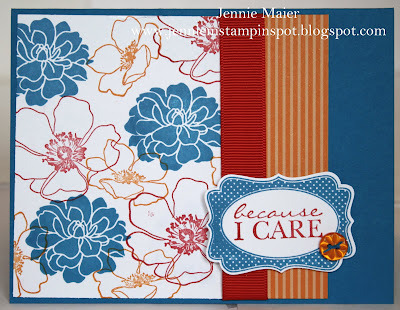 On Whisper White I stamped the flowers from Fabulous Florets in Real Red, Pumpkin Pie and Pacific Point. I stamped the frame from Four Frames in Pacific Point and added the sentiment from Because I Care in Real Red. I punched that out with the XL Decorative Label punch and popped it up with Stampin' dimensionals. I threaded some Pacific Point card stock thru the Pumpkin Pie button and adhered that with a Glue dot. Finally, some 5/8 inch Real Red grosgrain ribbon finishes it off. This card was made using the Splitcoast Sketch Challenge#328 here. I flipped the sketch so that my truck from Loads of Love would fit. I started with a base of Poppy Parade and added three papers from the Sunny Garden DSP. I stamped the truck from Loads of Love on Watercolor paper. I also stamped the lady and eggs from Loads of Love Accessories. I used blender pens and the Basic Gray, Daffodil Delight, Peach Parfait, Pear Pizzazz and Poppy Parade Classic Stamp pads to color in everything. 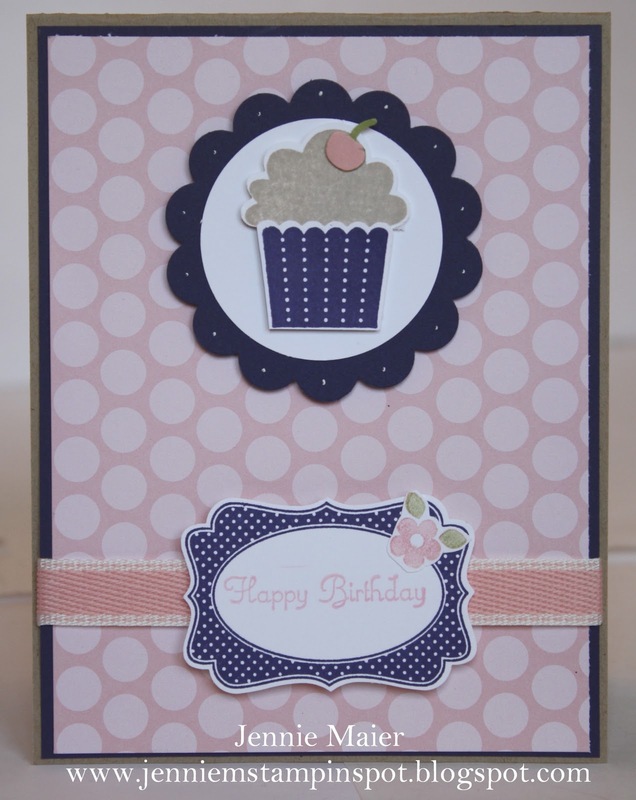 I stamped the greeting from Loads of Love Accessories in Peach Parfait on Very Vanilla and punched it out with the 1 1/4 inch Circle punch. 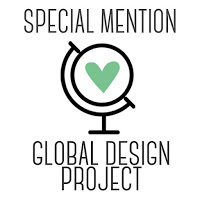 That was layered onto a Peach Parfait piece punched with the 1 3/8 inch Circle punch and popped up with a Stampin' dimensional. Finally, a bit of 1/8 inch Daffodil Delight taffeta ribbon finishes it off. I made this card using the MojoMonday Sketch#186 here, and the Splitcoast Color Combo#318 here. The colors to use are Pear Pizzazz, Pretty in Pink and So Saffron. My card stock base is Crumb Cake and then I added some Pretty in Pink card stock and some Pretty in Pink DSP from the Patterns DSP Subtles Stack. I used my 1 inch Circle punch on the Pear Pizzazz circles and cut them in half to create the scalloped border. I added a strip of Crumb Cake to the scallops. I inked up the Dot Dot Dot stamp with Pretty in Pink ink and stamped it on Whisper White. I used the Create a Cupcake set for the cupcake. The base is Pear Pizzazz and the frosting So Saffron with Crumb Cake sprinkles. I used the Build a Cupcake punch to punch those pieces and the cherry out. 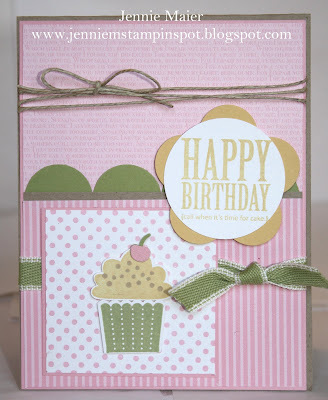 I popped up the cupcake with Stampin' dimensionals. I stamped the sentiment from Afterthoughts in So Saffron and punched it out with the 1 3/4 inch XL Circle punch. That was layered onto a So Saffron piece punched with the XL Fancy Flower punch. The flower was popped up with Stampin' dimensionals. I added some Natural Hemp twine to the top. Finally, some 1/2 inch Pear Pizzazz stitched-poly ribbon finishes it off. 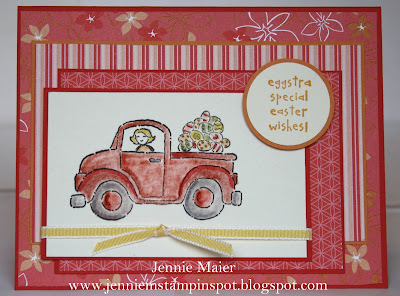 I used the Stamping 411 Sketch#198 here for this card. The base is Marina Mist card stock and I added two patterns from the Paisley Petals DSP. I ran the Old Olive piece thru the Scalloped Edge Border punch. I used my Marina Mist, Old Olive and Tangerine Tango Stampin' Write Markers to color in the stamp from Four Frames and stamped it on Very Vanilla. I punched it out with the XL Decorative Label punch, trimmed it down and then used that punch again on a piece of Old Olive. I stamped for you from All Holidays in Marina Mist in the center. I popped up those two pieces with Stampin' dimensionals. Finally, some 3/8 inch Very Vanilla taffeta ribbon finishes it off. I made this card using the Clean and Simple Stamping FTL#135 here. The base is Melon Mambo and I added three different patterns from the Sweet Stitches DSP. I cut out the buttons rectangle from another pattern of the DSP and added a Tangerine Tango circle that I punched with the 1 3/4 inch XL Circle punch. I stamped just for you from Teeny Tiny Wishes in Melon Mambo and punched it out with the Word Window punch. That was layered onto a Melon Mambo piece punched with the Modern Label punch. I threaded a Melon Mambo button with a sliver of Tangerine Tango and adhered it with a glue dot. I made this baby card with the Splitcoast Sketch Challenge#327 here, and the Stampin' Celebration Inspiration Challenge#47 here. I was drawn to the lion and the stripes in the plate so I went from there. 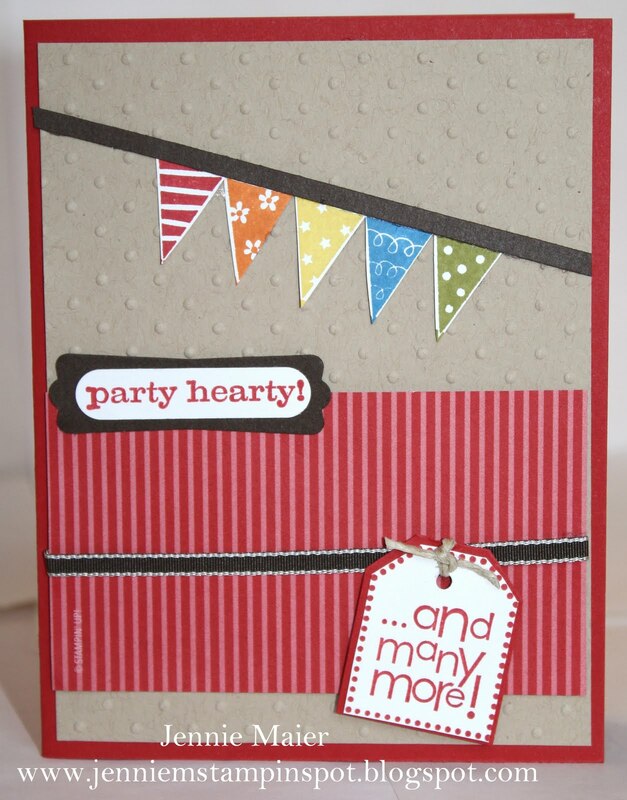 I started with Pumpkin Pie card stock and added some DSP from the Patterns DSP Brights Stack. I used scraps of Daffodil Delight, Old Olive, Soft Suede and Bashful Blue for the stripes. I colored the lion from Fox and Friends with my Daffodil Delight and Pumpkin Pie Stampin' Write Markers and added a mouth with the Soft Suede Stampin' Write marker. I colored one of the party hats from Party Hearty with my Old Olive and Soft Suede Stampin' Write markers, cut it out and popped it up with a Stampin' dimensional. I stamped hello baby from Teeny Tiny Wishes in Pumpkin Pie, punched it out with the 1 3/8 inch by 5/8 inch Large Oval punch and layered it onto a Pumpkin Pie piece punched with the 1 3/4 inch by 7/8 inch Large Oval punch. 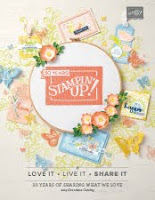 I popped the ovals up with Stampin' dimensionals too. I added a Bashful Blue(retired), Daffodil Delight and Old Olive brad. Finally, some 5/8 inch Old Olive grosgrain ribbon finishes it off. Here's another card that I made for three challenges. It must be my week! 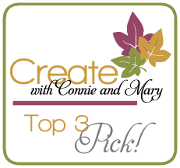 I started with the Create with Connie and Mary Sketch#145 here. I used the PPA#87 Color Challenge here, to use Daffodil Delight, Crumb Cake and Pear Pizzazz. And finally, it also qualifies for the SUO Challenge#16 here, to make an Animal card. My base is Crumb Cake card stock and I added some Daffodil Delight and a Daffodil piece from the Patterns DSP Brights stack. I added a Pear piece from the DSP Pack In-Color. I ran a strip of Crumb Cake thru the Scallop Edge Border punch and added some White Gel pen dots. I used the XL Two-Step Owl punch and Crumb Cake, Daffodil Delight and Pear Pizzazz card stock and also some Daffodil DSP from the Patterns DSP Brights Stack. 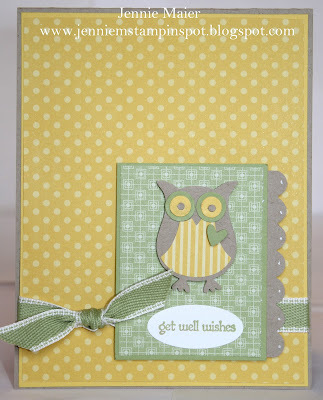 I popped up the owl and the entire Pear Pizzazz piece with Stampin' dimensionals. 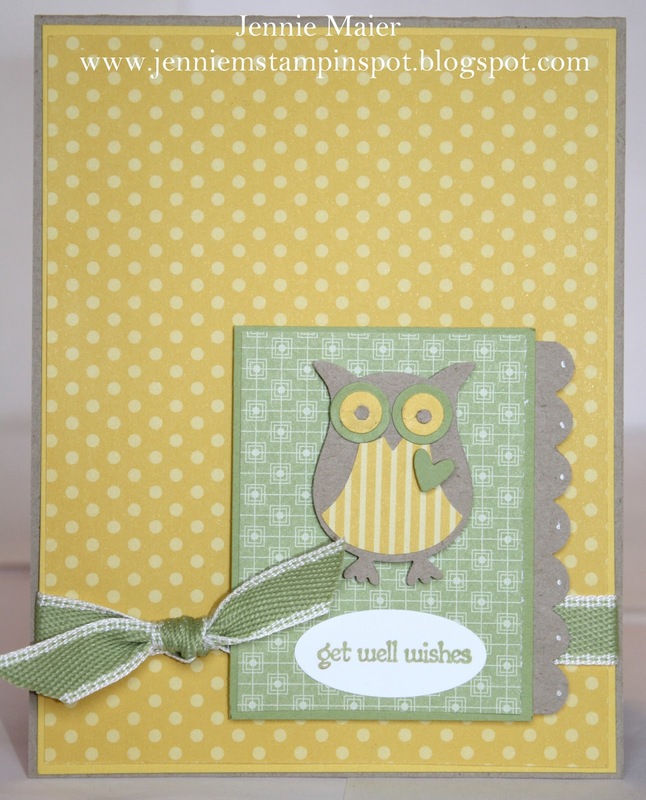 I stamped get well wishes from Teeny Tiny Wishes in Pear Pizzazz and punched it out with the 1 3/8 inch by 5/8 inch Large Oval punch. Finally, some 1/2 inch Pear Pizzazz stitched poly ribbon finishes it off. I made this card for the MojoMonday Sketch#185 here. I started with Tangerine Tango card stock and added Sweet Stitches DSP. I punched out two Tangerine circles with the 1 1/4 inch Circle punch, cut them in half and adhered them behind the DSP. I punched a Tangerine piece with the 2 3/8 inch XL Scallop Circle punch. I used the Circles#2 Big Shot die for the Daffodil Delight circle. The 1 3/4 inch XL Circle punch was used for the Tempting Turquoise circle. 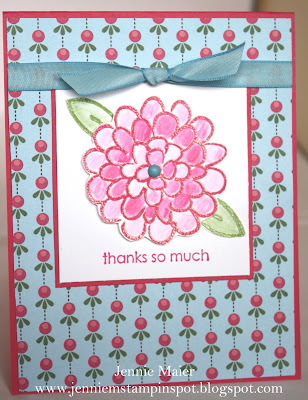 I stamped the flower from Printed Petals in Melon Mambo and used the 1 3/4 inch XL Scallop Circle punch on that piece. I added a Whisper White 5/8 inch Jumbo Brad to the center. 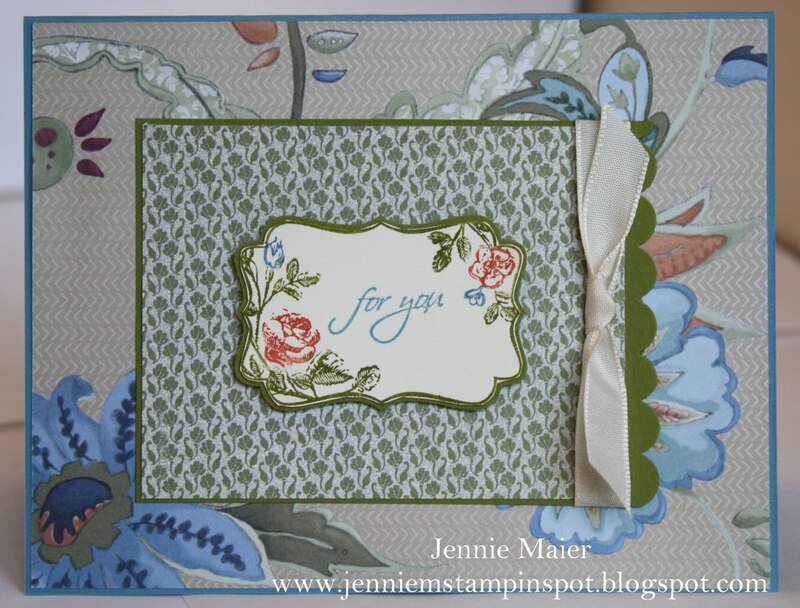 That entire piece was popped up with Stampin' dimensionals. I stamped thinking of you from Trendy Trees in Tangerine Tango and punched in out with the Word Window punch. I layered that onto a Tangerine Tango piece punched with the Modern Label punch. The small flower from Printed Petals was stamped in Tempting Turquoise and cut out. I added a Gold Brad to the center and popped it up with Stampin' dimensionals. Finally, some 1/4 inch Daffodil Delight grosgrain ribbon finishes it off. This is my take on the Stamping 411 Sketch#197 here. The base is Rose Red card stock and I used papers from the Springtime Vintage DSP. I cut out the big scallop circle with the Scallop Circle#2 Bigz die. I punched out three scallops, Baha Breeze, Not Quite Navy and one from the DSP with the 2 3/8 inch XL Scallop Circle punch. I then punched out three of the same papers with the 1 3/4 inch XL Scallop Circle punch. I crumpled them all up for some texture and added a 5/8 inch Jumbo Silver brad to the center. I stamped the flower from For All You Do in Pear Pizzazz, cut it out, added a Silver brad and popped it up with Stampin' dimensionals. I stamped thanks from Thank You Kindly in Rose Red on Very Vanilla and punched it out with the 1 3/4 inch by 7/8 inch Large Oval Punch. That was then layered onto a Rose Red piece punched with the XL Scallop Oval Punch. Finally, some 1/2 inch Rose Red seam binding finishes it off. I'm multi-tasking again today and made this card for three challenges. First, I used the Create with Connie and Mary Inspiration Challenge#144 here. That happens to be a picture with most of this week's Color Combo#317 here at Splitcoast. The colors to use are Baha Breeze, Pear Pizzazz and Poppy Parade. And finally, I used the Splitcoast Sketch#326 from last week here. So I started with a base of Pear Pizzazz. I ran some Very Vanilla thru the Big Shot with the Elegant Lines textured impressions embossing folder. I added some Baha DSP from Elegant Soiree DSP and some Pear striped DSP from Celebrations DSP. I stamped the flowers from A Flower for All Seasons in Basic Black on Very Vanilla. I colored the stems with Pear Pizzazz, the basket with Baha Breeze and the flowers and bird with Poppy Parade and a blender pen. Finally, I added some 1/2 inch Baha Breeze seam binding. I'm back from a fun girls weekend and catching up with challenges. So I made this one for three of them. First, PPA87 here, to use punches. Second, Stampin' Celebration Inspiration Challenge #46 here. And finally, Clean and Simple FTL#134 here. My base is Tangerine Tango and I added some Tangerine DSP and some Daffodil Delight DSP from the Patterns DSP Brights Stack. I used the Corner Rounder punch on the Daffodil pieces. 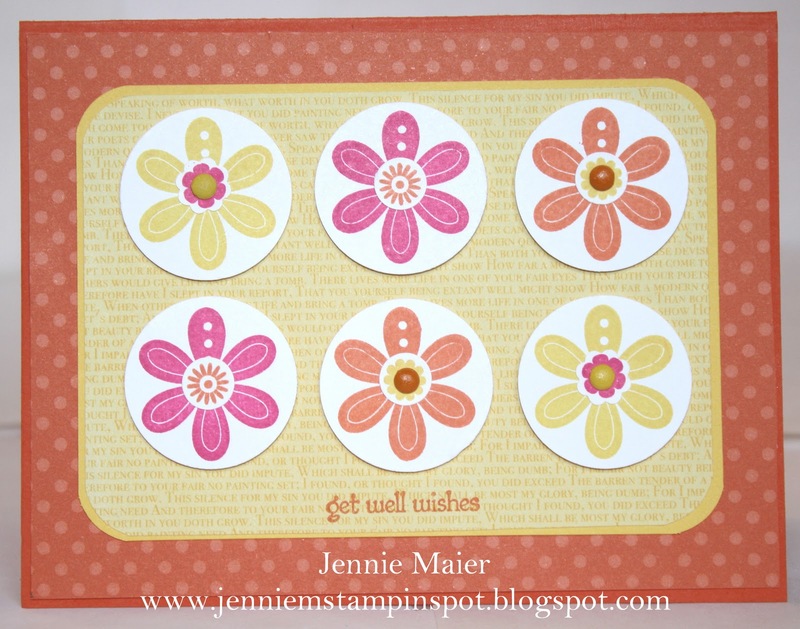 I stamped the flower from Printed Petals twice each in Daffodil Delight, Melon Mambo and Tangerine Tango. I punched them out with the 1 1/4 inch Circle punch. I stamped the little flowers from Printed Petals in the same colors and punched them out with the Itty Bitty Shapes Punches pack. I added some Brights Brads to the center of four of them. All the circles are popped up with Stamin' dimensionals. Finally, I stamped get well wishes in Tangerine Tango. I saw this darling card by Kathleen Hopperstad here, and I had to make my own. I changed it up with different colors and used the new Four Frames stamp set too. The base is Crumb Cake card stock and I added some Concord Crush card stock then some Blushing Bride DSP from the DSP Pack In-Color. I stamped the cupcake from Create a Cupcake in Concord Crush and Crumb Cake then used the Build a Cupcake XL punch to punch them out. I also punched out the cherry with Pear Pizzazz and Blushing Bride card stock. The cupcake is popped up with Stampin' dimensionals. I punched a Whisper White circle with the 1 3/4 inch XL Circle punch and added it to a Concord Crush piece punched with the 2 3/8 inch XL Scallop Circle punch. I stamped the frame from Four Frames in Concord Crush and added the sentiment from Create a Cupcake in Blushing Bride. I punched that out with the XL Decorative Label punch. I colored the flower from Create a Cupcake with my Blushing Bride and Pear Pizzazz Stampin' Write markers and cut it out. Finally, some 1/2 inch Blushing Bride stitched-poly ribbon finishes it off.